Earlier this month, Denver stripped Sweet Leaf of all 26 of its city-issued marijuana licenses for what authorities characterized as a management-directed illegal sales “looping” scheme that allowed customers to buy cannabis multiple times a day. Sweet Leaf maintains its innocence. The news garnered a lot of attention from cannabis sector experts, who generally agreed that in an industry so heavily regulated, business owners shouldn’t risk losing a hard-earned license by engaging in behavior they think might squeeze through a legal loophole. Train your managers and employees about the importance of complying with the law. When in doubt about the legality of a particular business practice, consult an attorney. 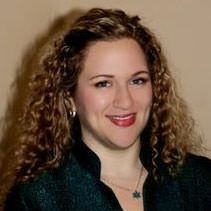 • Kristi Kelly, executive director, Marijuana Industry Group in Colorado (which, Kelly reports, has about 550-600 licensed members): “What I can tell you is that it’s had an important effect on illustrating the need to have compliance training from the top down. I feel it’s created an appetite even more for creating checks and balances. Now everyone knows exactly what the expectations are. I don’t see how something so significant can take place and not change behavior. • Robert Mikos, professor, Vanderbilt Law School: “One big lesson that shouldn’t need to be taught is not to believe you’ve got some clever way of evading the law … They thought, ‘We have a gimmicky way that’s going to help boost our business.’ I think people need to recognize especially in a highly regulated industry that the law is reasonable and rational, and that the people who write the law are pretty smart. These gaps in legal coverage are few and far between. 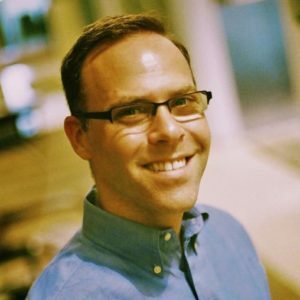 • Kris Krane, president, 4Front Ventures: “Given all of the attention given to the Sweet Leaf case, my guess is businesses will be more cautious about this in the future, knowing that regulators are paying attention. What stops businesses from doing this are good operating protocols and staff training. 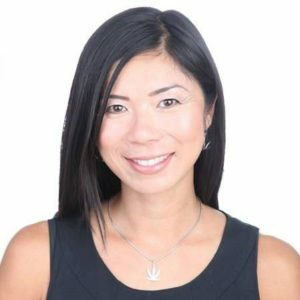 • Rachael Ardanuy, Denver cannabis attorney: “The best practice is to reach out to your counsel before making any sort of decision you’re not sure about. Double-check with experienced counsel in the industry before going full steam ahead with that kind of sales tactic. Ardanuy shared an anecdote from the spring of 2017, when a cannabis client told her a competitor was padding sales by selling product to some of the same customers multiple times a day. “They said, ‘We feel like it’s wrong, but we also see our neighbor making a ton of money doing it, and we feel like we’re missing out on a lot of dollars,’” Ardanuy recalls the client saying. By that time, Denver police already were investigating Sweet Leaf. 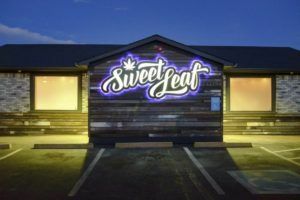 Within six months, Sweet Leaf’s Denver stores would be shuttered for the allegedly illegal sales practices and a dozen budtenders would be arrested. But Ardanuy said she wasn’t aware of the Sweet Leaf investigation at the time and her client didn’t directly name the competitor. On her client’s behalf, Ardanuy asked regulators for a “statement of position” on the statute governing daily marijuana sales limits, a request for clarification that any cannabis business can make in Colorado. Ardanuy, then with the law office of Lauren C. Davis, said she didn’t feel that answer was crystal clear, but her client ultimately decided against copycatting the practice. “It was a good decision for sure,” Ardanuy, who is now running her own practice, told MJBizDaily. The state clarified the sales rule in early 2018. No charges have been filed against Sweet Leaf co-owners Matthew Aiken, Christian Johnson and Anthony Sauro, but the Denver District Attorney’s Office is still investigating. In filings, Sweet Leaf has claimed facts were created “out of thin air” and that the decision to revoke its licenses was wrong. The company has several shops in other Colorado municipalities and in Portland, Oregon, that aren’t affected by the decision and remain open. “Sweet Leaf continues to maintain our innocence, and we will continue to fight these Stalinist tactics used by the City of Denver,” Aiken, the company’s CEO, wrote in a statement emailed Tuesday to MJBizDaily. Shannon Gray, spokeswoman for Colorado’s Marijuana Enforcement Division, won’t say if the behavior of the state’s marijuana companies has improved since the Sweet Leaf decision. She wrote in an email that she can’t disclose whether any businesses are under investigation. Make sure your lawyer doesn’t have financial interests guiding his or her opinion. There’s a lawyer in MT who owns a testing lab and extraction lab and advises people on how to get around the law and use her services. Simple solution to all this. Obey regulations and law. Sweet leaf is out of business because leadership is criminal minded; and leadership establishes the org and work. culture. All starts from top down. Also always somw bad apples in the bunch with regard to employees. You dont need a lawyer to follow regs and law!!! Just read them, understand their application to conducting business, and stay in full strict compliance! 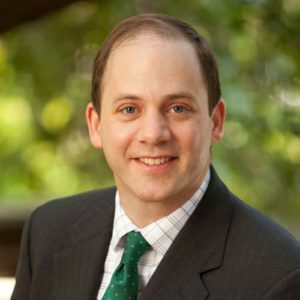 Have questions, contact regulators! They will give you the answer you need and they the ones watching and enforcing…so why ask anyone else?? Trust me call and ask. You not painting a target on you by asking. It will be appreciated you care enough to ask. And beats not asking and risk getting misleading info and your biz end up in trouble. I don’t disagree with your comment but feel this is an oversimplification of the issue. First, I agree with how this was handled by the MED and believe that consistently enforced, sensible regulation results in an even playing field for operators and a better industry. In this event with Sweet Leaf, an effort to exploit a poorly worded regulation was met with a firm ruling from the MED. My point is that efforts to interpret vaguely stated regulations are generally not going to be made clear to you by speaking with compliance officers. I still see the operator/enforcer relationship as adversarial and my experiences in trying to work in good faith with the MED to properly interpret ambiguously written regulations have not been at all fruitful. However, I do have faith that as the industry continues to mature, these will develop into mutually beneficial relationships that will ensure better understanding and better compliance from all perspectives. Until then, my advice is to comply always, work with the MED (when possible) and your own lawyers to understand ambiguous regulations, but when in doubt, act conservatively. “You don’t need a lawyer to follow regs and law!! !” – I don’t know if that’s 100% true. Some regulations are vague and can have widely varying interpretations. I have called the MED before with specific questions and have been (1) told they can’t answer my question and to speak with my legal counsel and (2) on a few separate occasions, I’ve been given contradictory answers to the same question from multiple MED Investigators. Sure, have a working relationship with your regulators, but also have good counsel you trust. Sorry to hear that you have had this same experience, but it is nice to know that I’m not alone. My most recent example in regards to vague regulations with varying levels of interpretation involves product labeling. After every effort was made internally at my company inclusive of Sales, Marketing, Compliance, Production and QC, we reached a consensus that our label followed the letter and spirit of the law. Upon shipping to customers, some chose an even more strict interpretation and opted to reject the items for non-compliance with the regulation. Efforts to get clarity from the MED were not quite hostile but were certainly not helpful (they didn’t hang up, but I am confident that one more question from me would have gotten that result). They maintained that the law was clear and that we simply needed to read and follow it. This was absolutely not the case as demonstrated by the fact that my company debated it for hours, thought we erred on the side of caution, but our customers had their own and varied levels of interpretations, none of which was to be arbitrated by the MED despite our efforts to engage them in good faith. According to Montana’s DPHHS website the application fee for a lab is only $2,000… Did I READ that right? The CEO’s hostile comments publicly accusing the City of Denver of “Stalinist tactics” is not helpful. If they want to get their licenses back, they need to behave like law-abiding businesspersons who have a disagreement with the city and/or made a mistake, not entitled permit holders who hate the “rules”. It makes us all look bad when early legal entrants engage in adversarial relationships with cities whose trust we are still earning. If we are ever going to be treated like businesspersons, ALL of us need to act the part. Regulated companies have NO upside in hostile relations with their regulators – in ANY industry, not just ours. How is this moron an “expert” worth quoting? There’s nothing easy about this. The only way to ensure dispensaries are compliant is to demand patrons enter into a database and get tracked with each and every purchase. What other consumer good has this level of intrusive scrutiny?